Unbroken Glass ends dynamic week-long run; now available through Tugg! Unbroken Glass, the debut feature from director Dinesh Sabu capped off its week-long run at the Gene Siskel Film Center last Thursday. 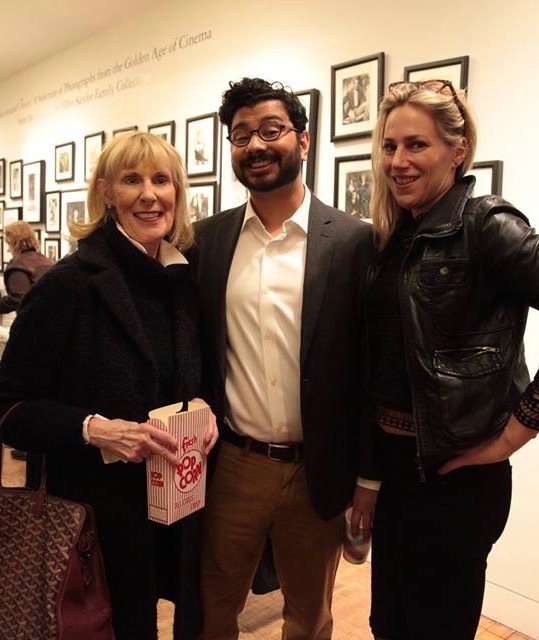 Dinesh and the film hosted seven screenings in partnership with organizations including the Indo-American Heritage Museum, National Alliance on Mental Illness (NAMI) Chicago, Apna Ghar, IFP Chicago, and the Eye On India Festival. Post-screening, Dinesh participated in discussions with fellow filmmakers and leaders in the fields of gender violence in the immigrant community, mental health, the South Asian American community and independent film. It was a chock-full and dynamic theatrical run, uniting members of Chicago's film, South Asian, immigrant and mental health communities around the film and Dinesh––a longtime Kartemquin associate. Dinesh and the film gained a slew of press in anticipation of the run, including being featured on WBEZ Morning Shift, WGN's The Download with Justin Kauffman and on Good Day Chicago, and interviewed by film critic Richard Roeper! The film and the Unbroken Glass team are not slowing down, with a full slate of screenings coming up in 2017. Most notably, Unbroken Glass is now available for screenings through Tugg, a crowd-sourcing platform through which individuals and institutions can bring the film to their cities for screenings! Stay up to date on all things Unbroken Glass by signing up for their mailing list via the film's website, following the film on and Facebook–and bring the film to you using Tugg!